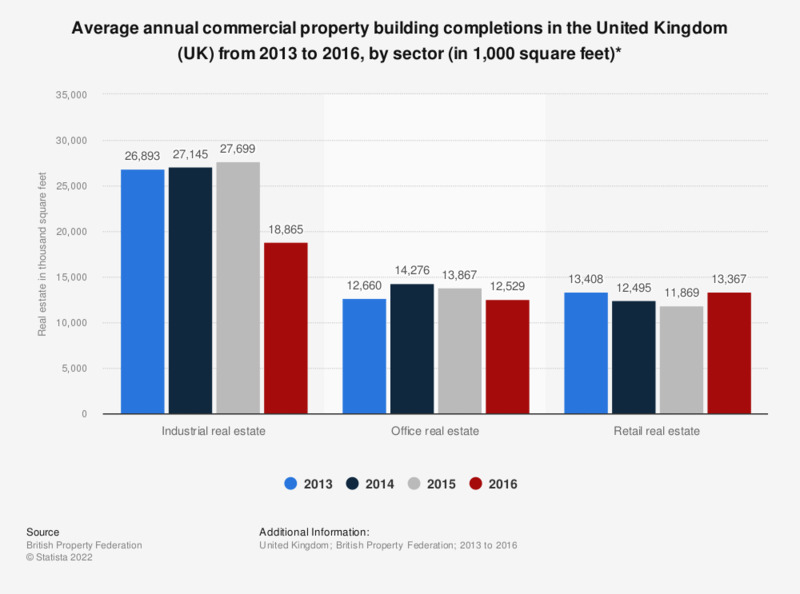 This statistic shows the average annual building completions within commercial property construction in the United Kingdom (UK) from 2013 to 2016, by sector. In that time, between 2013 and 2015 the industrial real estate sector contributed approximately 27 million square feet of new space annually. This fell to almost 18.9 million square feet in 2016. *This is a 10-year average measurement.